When I run git --version I get git version 1.7.12.4 (Apple Git-37), and it seems to be located at /usr/bin/git. 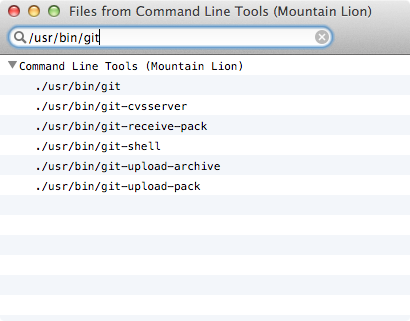 I don't remember installing Git, but I did install Command Line Tools for Xcode in order to install Homebrew. Not a full Xcode install — just the command line tools. I'm trying to figure out how best to update to a newer Git version, and determining how it was originally installed would be helpful. I think it came with the command line tools installation, but I'm not 100%. As of 10.8, OS X does not come with git preinstalled. Not the answer you're looking for? Browse other questions tagged xcode git .